The Acesonic MicMaster is both a wireless microphone system and an entertainment system with high definition capability. 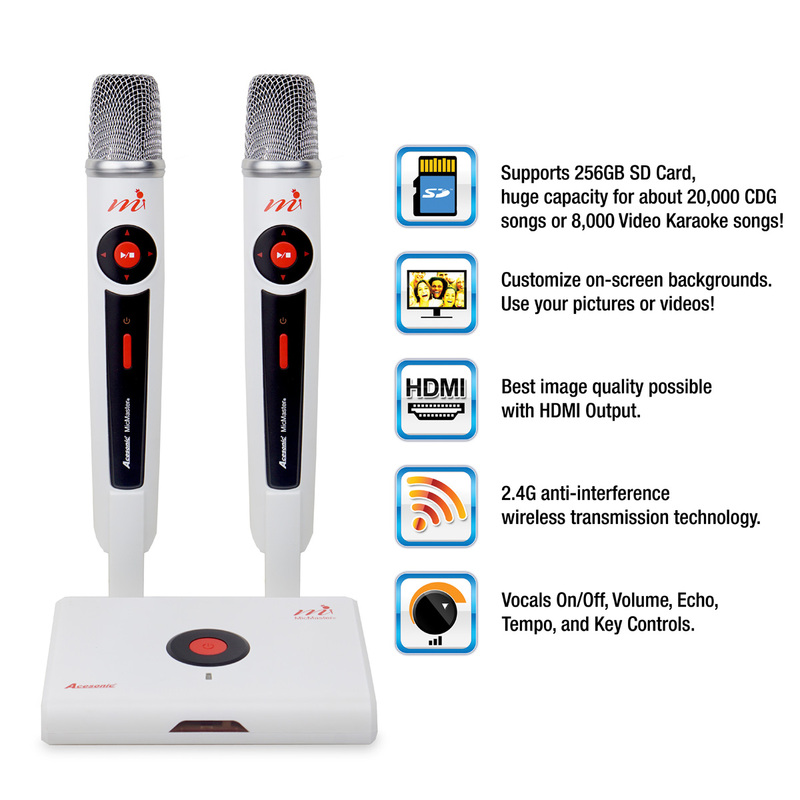 Each mode can be utilized on its own or together so you can either play karaoke files and sing with the MicMaster or connect it to your existing karaoke machine or sound system and only use the dual wireless microphones. 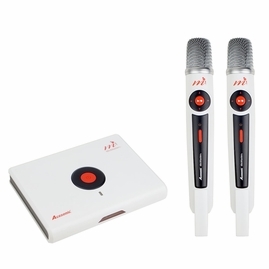 As an entertainment system, this one device can be used for karaoke, media files, recording and for audio mixing! This allows you to host a few activities such as singing, sharing videos or simply playing music for your party. Performances can be saved with the recording features so you can share them with all your friends! 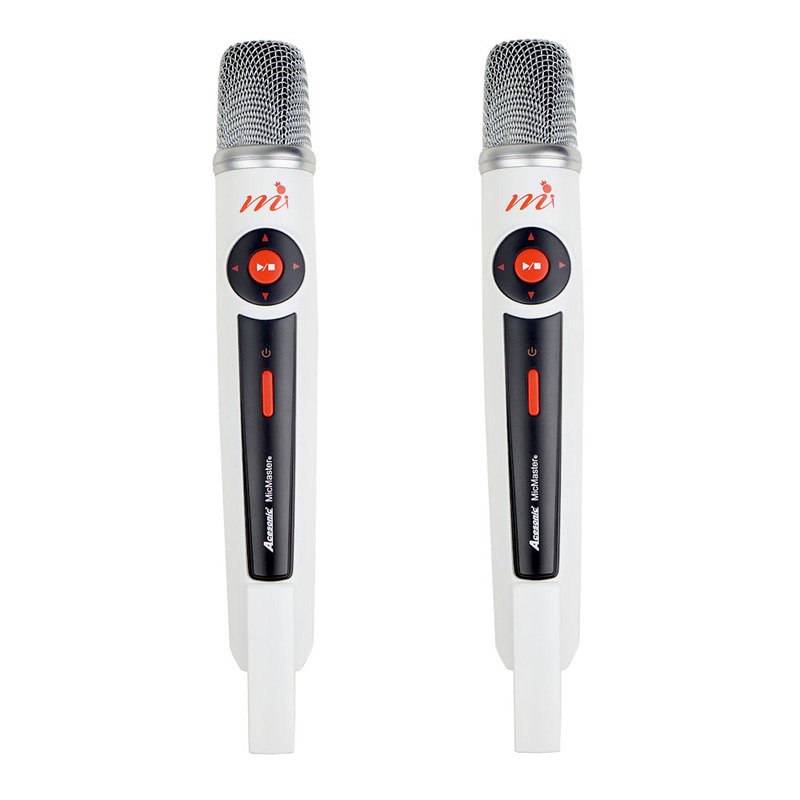 Play all your MP3+G karaoke tracks, MP4 videos, or MP3 music tracks from a single SD card to keep the party going! 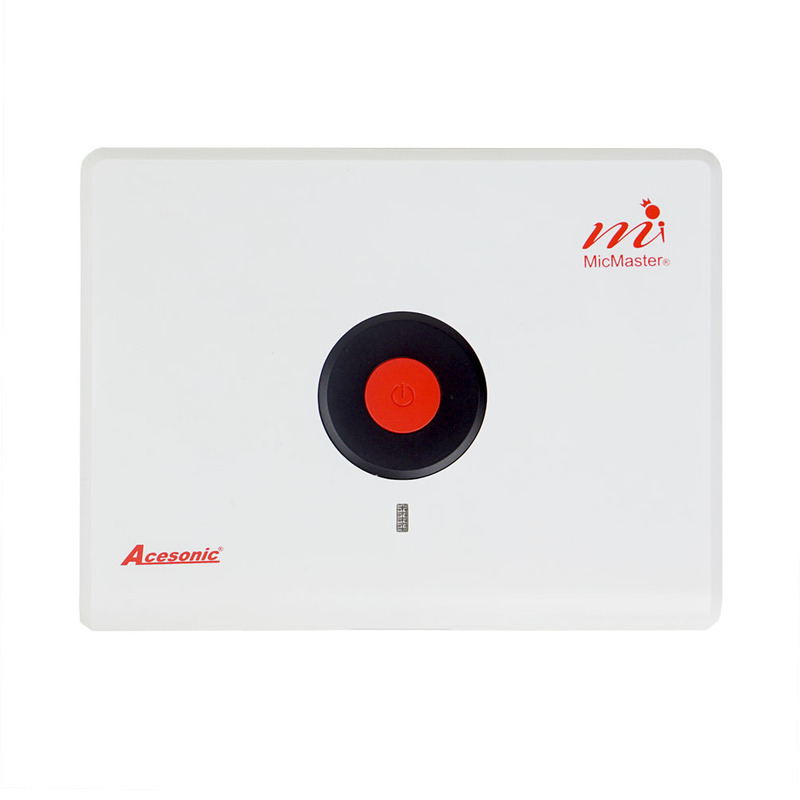 If you want to do some simple audio mixing, just hook up another audio source and the MicMaster will include that audio signal in its AV output. 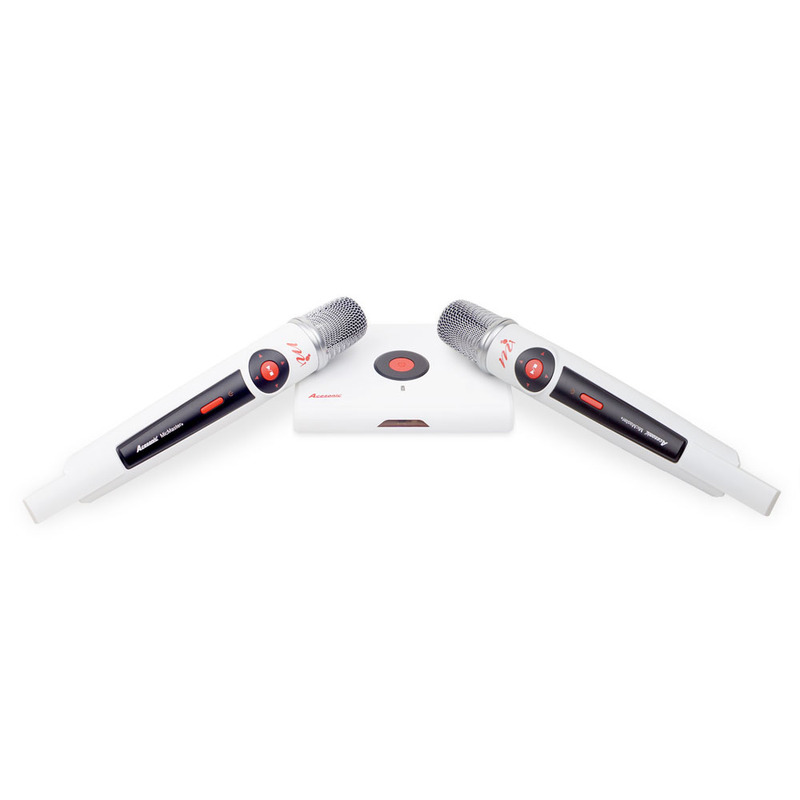 Digital Recorder – MP3 real-time recording and playback. Customize on-screen backgrounds. Use your pictures or videos!